Built on our trusted, well-known, high-definition 3.0T platform, the GoldSeal 3.0T is engineered to provide you with excellent images. GoldSeal 3.0T can assist in delivering accurate diagnosis. Its user-friendly interface assists in minimizing training time, which gets your staff up and running quickly. In addition, advanced clinical software applications assists in offering you enhanced accuracy and certainty. The GoldSeal 3.0T protects your investment by allowing you to easily expand your capabilities with new coils and applications-even upgrade the platform without replacing the magnet. 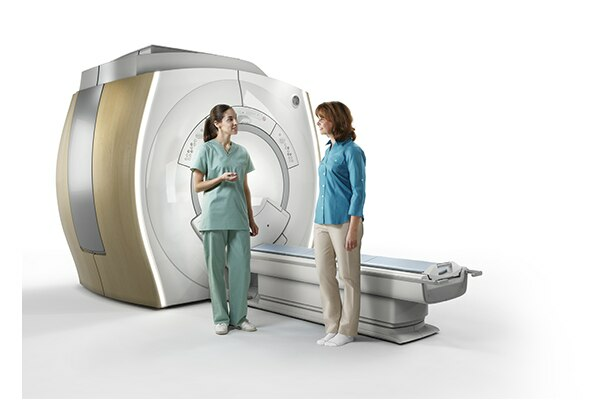 GoldSeal 3.0T MR delivers comprehensive and advanced 3.0T whole-body imaging for the full range of clinical applications. The GoldSeal is engineered from end-to-end to let you see more. With GE's high-density coils, data acceleration technology, and high-definition applications optimized for each anatomical area and engineered to work with the system's premium performance components, GE can deliver images with excellent contrast and clarity. The upgradeability benefits from GE are well-known. It starts with a proven 10-year 3.0T Continuum that’s driven by a magnet designed for longevity and seamless upgradeability. It continues with the easy-to-incorporate breakthrough applications and system enhancements that keep customers current in today’s ever-changing and increasingly competitive market. Rest assured, your investment is always protected.